This is a decal kit. It comes with 2 pieces, the Virtual Boy text and the black curved part. It is meant to be placed on a red 3DSXL. 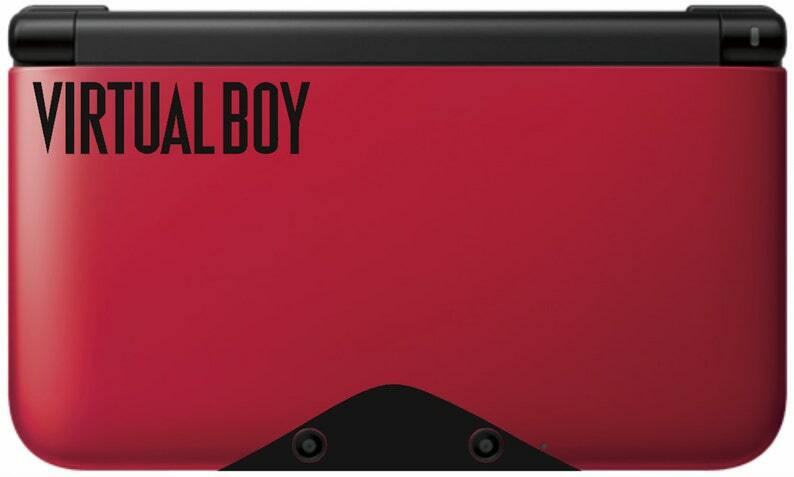 If you buy it for a blue 3DSXL, your virtual boy will be blue and black. There are no red parts in this kit. You can install this decal with the camera holes at the top or the bottom. If you want the camera holes at the bottom, be sure to specify the "Camera Holes" style.